Dozens of high school students from all over Kentucky will converge on the University of Kentucky campus today (Thursday), Jan. 25, to test their logic and linguistic skills in the 2018 North American Computational Olympiad (NACLO), hosted by the UK Department of Linguistics. No prior knowledge of linguistics or secondary languages is necessary as the students are tested on their ability to solve linguistics puzzles. 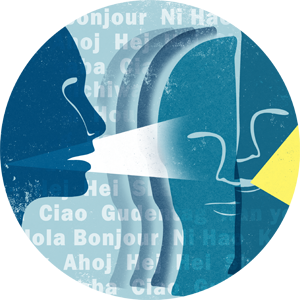 Professionals in linguistics, computational linguistics and language technologies used dozens of languages to create the engaging problems that represent cutting-edge issues in their fields. This week’s competition reflects open round contests with an invitational round scheduled March 8. This summer, NACLO will select teams for the 2018 International Linguistics Olympiad. After their first taste of this 21st century natural-language processing, young competitors all across the nation often pursue careers in the professional fields of linguistic study. Read a former contestant’s experiences in the NACLO Linguistics Olympiad, which she describes as "Puzzles in Disguise," here.